Given the plaudits heaped on architectural projects in Temple Bar and the redevelopment of Dublin’s docklands, you might have expected the most commanding building of 1999 to have sprung up somewhere along the Liffey. In fact you have to go away from the river, up into the Liberties, to find Ireland’s most impressive project of last year – and the finest architectural addition to Dublin city centre for some time. The surprises do not stop there. Completed in June, de Blacam and Meagher’s building at the corner of Castle Street and Werburgh Street is a modest, privately built infill development on a small, neglected site. 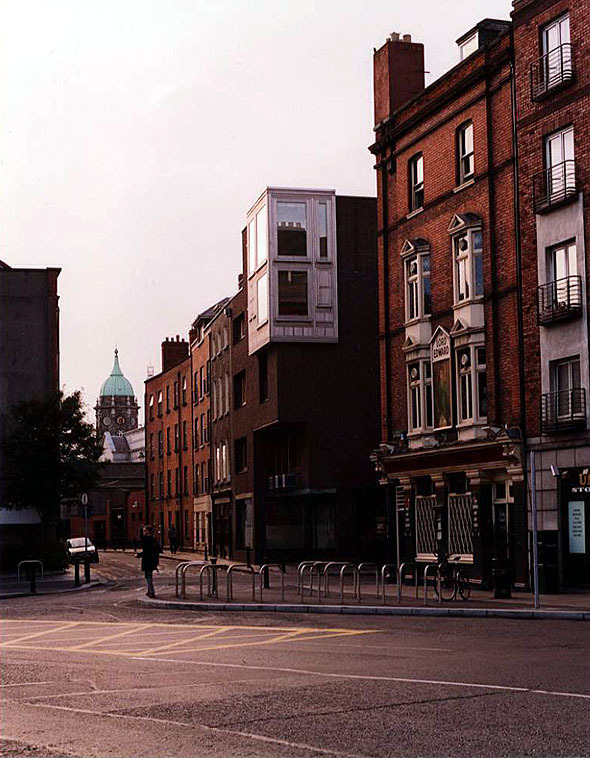 It is all the more remarkable then, that it emphatically demonstrates the shift from road planning to urban design that has been the hallmark of much of the best Irish architecture of the 1990s. It provides a classic example of how to revitalise urban fabric by re-creating street spaces in an area severely damaged by 1960s roads plans. The urban repair strategy was simple enough – right out of the Berlin IBA textbook of how to deal with “missing” corner buildings. IBA was the 1980s international building exhibition in Berlin, an initiative to rehabilitate war-damaged parts of the city that had been neglected. The theoretical objective behind IBA was to challenge the failure of much post-war planning and demonstrate the rediscovery of the city centre as a spatial and philosophical continuum – to rehabilitate tradition, as it were, while encouraging diversity in terms of architectural expression. The structure previously standing on this site was a bleak, utilitarian, three-storey concrete frame, set back from the Castle Street building line and which, just for good measure, had its corner missing – the legacy of long-term road “improvement” plans abandoned years ago. 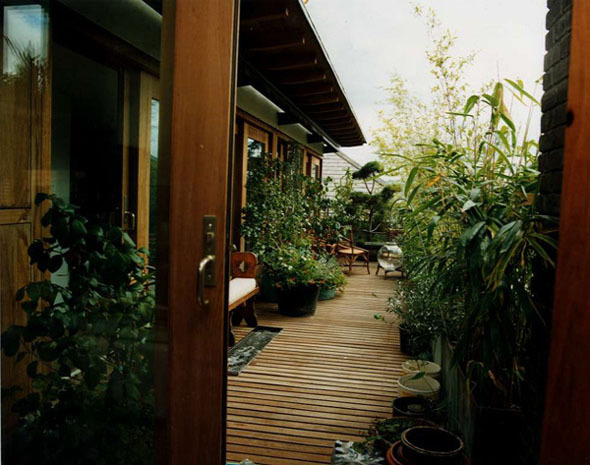 The frame was kept and a sophisticated, wrap-around brick structure was added to “make” the architecture. The new building skillfully completes the once desolate urban context around Christchurch cathedral. 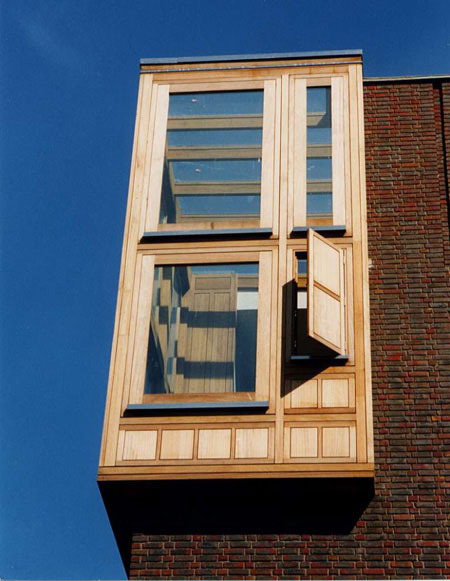 The handling of the three scales required – three and a half storeys to Werburgh Street, four to Castle Street and five to hold the view from Christchurch Place – appears effortless, a remarkable achievement. The principal facing material is brick, with massive, 13-inch deep window reveals. 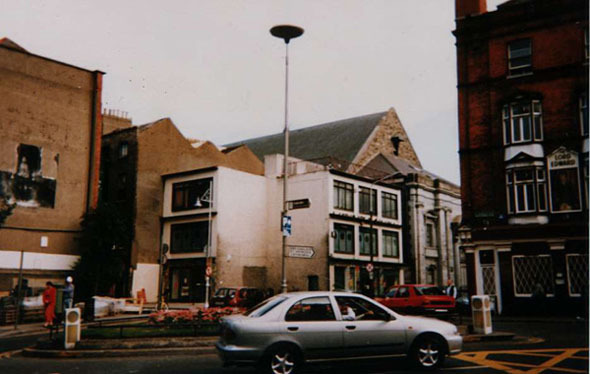 Given the predominance of brick cladding in Ireland, it is surprising how few contemporary Irish architects have sought to push this basic material beyond the ubiquitous stretcher bond, where full-length standard bricks are simply staggered in alternate courses – a sort of brickwork as wallpaper. At Castle Street, John Meagher has employed a rarely used “monk” bond – a repeating pattern of two full-length stretchers and one short header brick – the bond used by Alvar Aalto at the universities of Jyväskylä and Otaniemi. This is not the first time de Blacam and Meagher have sought to extend the boundaries of Irish brickwork. At their monumental Cork library, completed in 1996, they used a bond comprising three stretchers and one header. And their Temple Bar apartment tower, now nearing completion, will extend the vocabulary even further by dramatically increasing the thickness of the mortar joints used between the bricks. It may seem hard to believe, but details as small as these have a major bearing on the appearance of buildings. This is the inventiveness – across all the scales, from urban repair to the detailed design of individual parts of buildings – that sets the work of great architects apart. None have contributed more to the Irish scene in the past quarter of a century than de Blacam and Meagher. Their work is increasingly valued abroad. The German architecture museum in Frankfurt, which houses the world’s greatest collection of contemporary architectural drawings, has recently acquired one of their projects. A shop has been inserted on the ground floor, with two levels of offices above. A large, two-storey penthouse apartment – surely the most dramatic in Dublin – has been placed on top of the entire existing structure. Its double-height, corner living room feels like the original missing corner of the site – lifted up into the air and suspended in space. 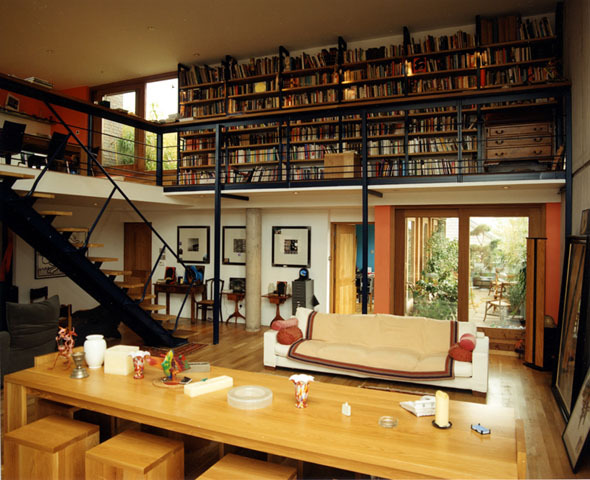 This effect is heightened by the poured-concrete walls of the living room and its delicate library gallery. The penthouse has four roof terraces – an east-facing bedroom terrace with a view of the tower in Dublin Castle, a north-facing herb garden off the kitchen, a west-facing terrace off the double-height living room and an enormous roof garden overhead, planted with bamboo and enjoying expansive views of the city and the mountains beyond. Here is the promise of the modern movement made good. There could be nowhere better to ring in the new year, every year.